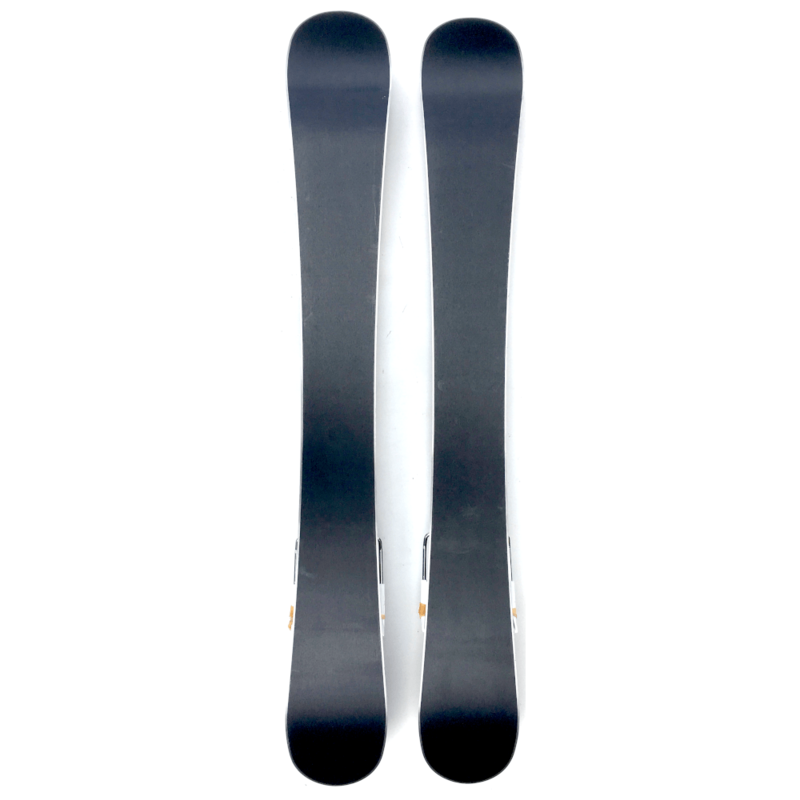 “EZ” is what the Summit EZ 95 cm Easy Ski Skiboards 2019 are all about. 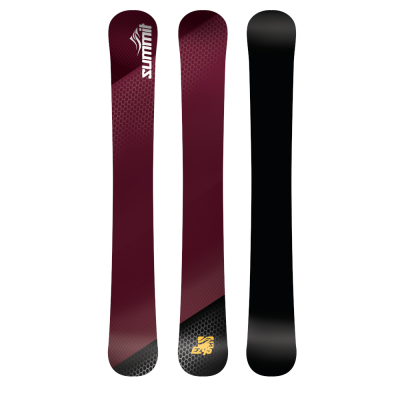 Summit EZ 95 cm Easy Ski Skiboards 2019 are truly super easy to have fun, offering almost instant parallel carves and quick turns, yet performance at speed without the chatter you may find in lesser quality constructed skiboards. If you’ve never skiboarded before or never skied before, these are the ones to get. Due to their parabolic shape and slightly narrower tail, these EZ’s are truly great carving tools. Beginners and intermediate riders will find a quick escalation in their ski abilities. Handcrafted, one pair at a time, with extreme attention to detail, this season’s Summit EZ 95 cm Easy Ski Skiboards 2019 are constructed with a vertically laminated tip-to-tail wood core. This creates a consistent tip to tail flex that brings a new level of carving to skiboards. Made for all mountain riding, the wide body tip is great for groomed runs as well as anywhere else, including crud, ice/hardpack or light powder. With asymmetrical twin tips, you can still go backwards or spin down the mountain if you choose. Recommended for: beginning to intermediate riders. These are among the best skiboards to learn on, have immediate fun on the slopes and yet advance to advanced levels quickly. Read more about Easy Skis. Tuning: We recommend getting your bases hot waxed before riding. You can choose our Add a Hot Wax Service and receive your skiboards waxed and ready to ride. You can also choose to do it yourself with our Skiboards.com Quick Mini Tune Kit to maintain your skiboards in optimal condition. Bindings: These can come pre-mounted with the Atomic L10 release bindings for the perfect combination of safety, flex and step-in-and-go performance. This includes free mounting. L10 bindings feature: DIN range of 3-10. Twin pivot. Toe height adjustment. Adjustments can be done by hand and fits ski boot sizes 261-384 mm (approximately US size 4 – 14 U.S.). Snowboard Bindings: Yes, these can be mounted with any Snowboard bindings or purchase ours. Finally, boots that feel like snowboard boots because they are! Inserts hold your bindings secure. It is highly recommended to purchase our Technine Custom Pro DS Snowboard Bindings with Summit riser kit to elevate your bindings so you can truly lay it over on carving. More about snowboard bindings with skiboards. Use your own Snowboard Bindings and Boots: order these without bindings and then add the Snowboard Binding Adaptor Kit to your cart. This delivers maximum performance. Non-Release Bindings: The EZ 95cm can also be mounted with non-release bindings that fit the standard 40mmX40mm insert pattern. 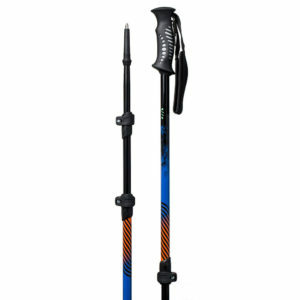 Also, consider the Head Razzle Dazzle 94cm with release bindings. Similar profile and riding feel and also super easy to enjoy the mountain. Need more advice on Choosing the Right Skiboards?